Just a minute ago we were carving pumpkins, and now suddenly the holiday season – and demand for gift giving – has arrived. 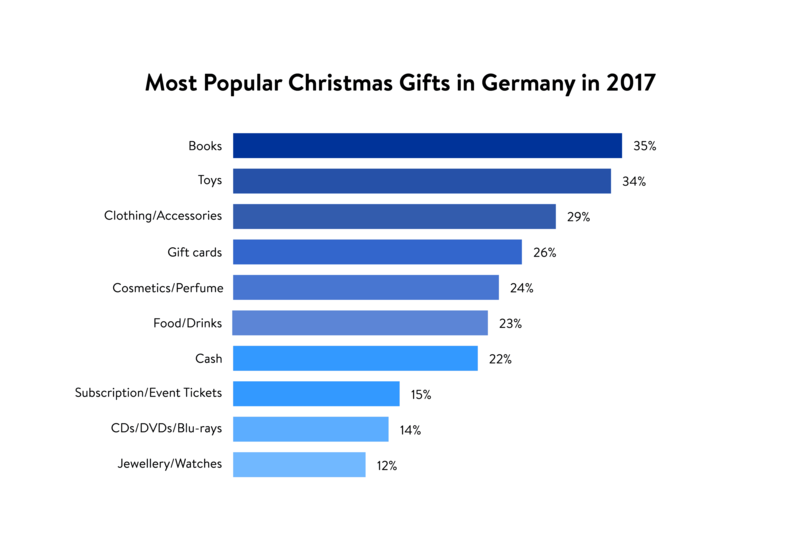 Consumer reports have shown that local retailers are not the only ones who benefit from holiday retail; online stores generate half of the total turnover during the weeks leading up to the holidays and outperform in-store purchases in terms of convenience, quality, variety and availability of products. Today we’re going to hone in one of the most influential tactics marketers have in their toolbox: holiday newsletter campaigns. Seize your chance and lead prospective customers into your shop with creative newsletters. Festive content and attractive discounts are the key to boost your sales. Before you start creating your newsletters, it’s important to plan in advance what you want to communicate with your campaigns and when you want to send them. Set up a schedule that outlines the focus topics of your newsletters and their target customer groups. If you have already sent seasonal newsletters in the past, take inspiration from your previous campaigns. Which subject line triggered the most opens; which offers were clicked the most? Use the data from previous newsletters to make the best of your current campaign. Test subject lines, special offers and other content in split tests to get even more insight into the preferences of your customers. Timing tip: Recipients are more likely to open newsletters on a Monday. However, links are most frequently clicked on Saturdays. That’s because people rather shop in their free time (that is, the weekend) than during the work week. You probably want to insert special discounts in your holiday newsletters. Make sure that the advertised products are in stock, so that all interested customers can take advantage of this offer and receive your product on time. Last but not least, a matching newsletter template can illuminate the purpose of your holiday campaign in one glance. At the same time, you want the template to mirror the look of your store. Is your page clean and simple? Then your holiday newsletter should look similar. However, if your shop is more colourful and playful, you should use a complementary template. 4. Give away small favours: During a limited period of time, you can add a small gift to every order placed in your shop. For example, offer a bracelet for every watch that’s been ordered. Also, customisation is a great service you can give away – put the names of your customers on notebooks, cutting boards or shirts for free. 5. Satisfy the Grinch: Not everyone adores the holidays. Offer those customers alternative content. You can tease anticipation for warmer weather with thematic products or festival tickets at an early bird rate. Or you lean into New Year’s resolutions and with an email series that highlights health-conscious products. 7. Offer styling advice: Do you specialise fashion? Then you can offer your customers valuable tips for elegant holiday styling. Shop owners for interior design can display decorative ideas; think festive dinner tables, wreaths and ornaments. Share your knowledge with your customers! 8. Gift ideas on a budget: Charming gifts do not have to be expensive. Do the bargain hunting for your customers and compile an overview of low-priced products in one newsletter. 9. Share your favourite recipes: A roast, a pie, or chewy cookies? Comfort food is one of many aspects that makes the holiday season so great. As a change of pace, you can send favourite recipes from your team to your customers. This creates a more personal bond to your subscribers and gives them a warm association with your company. 10. Provide downloads: Packaging makes a gift complete. Offer your customers creative gift wrapping ideas that match their orders, or create free templates for gift tags and postcards that customers can download from your online shop. As you can see, some clever planning and creative content can make your newsletters a real holiday treat! Get started now and boost your sales this holiday shopping season.